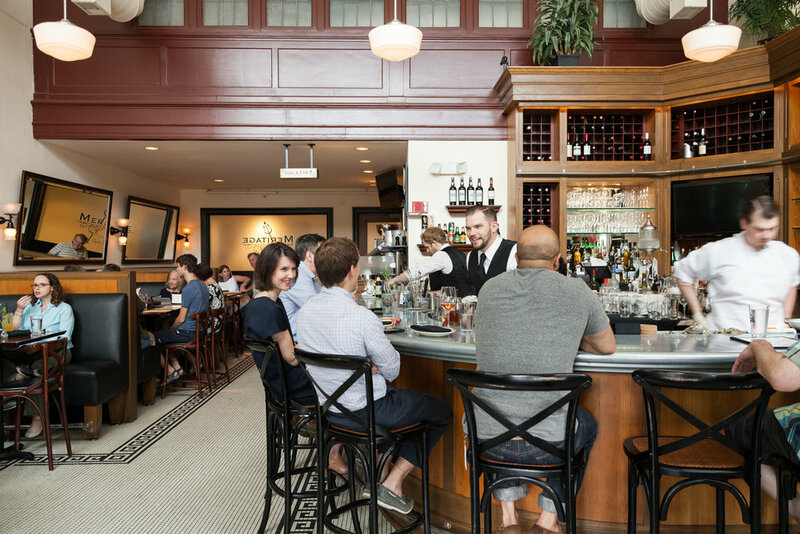 From our classically timeless dining room, to our buzzy oyster bar - Meritage offers an ambiance regardless of mood. The Terrace offers memorable Summer evenings, a wonderful place to enjoy some Moules Frites and a glass of rose. We invite you to experience all of the styles of dining at Meritage. The heart of the restaurant, the dining room is a classic styled beauty with a seasonally changing, chef-driven menu. Warm, urbane, romantic - the Meritage Dining Room is a jewel of a setting. 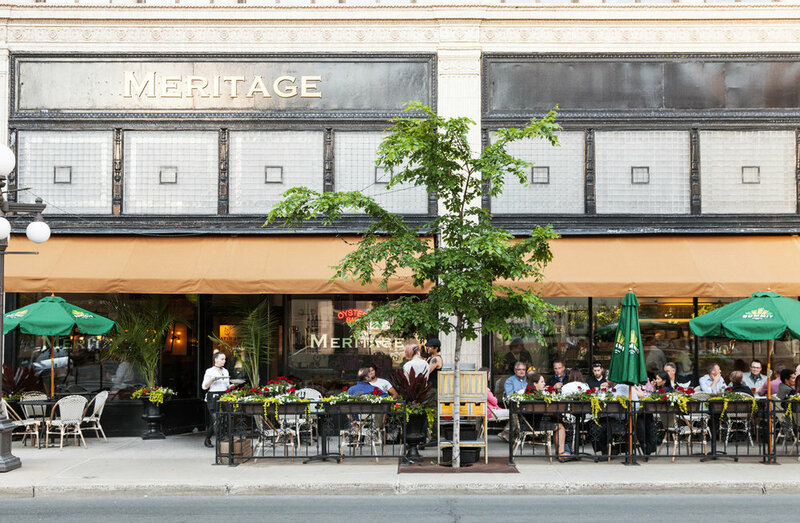 Meritage strives to offer all the best of French Brasseries while also upholding Chef Klein's culinary vision and seasonal inspirations. An urbane slice of outdoor dining nestled in the heart of downtown St Paul, with some of the best views in the city. Join us for some Moules Frite and a glass of Rose during season. April - October - weather permitting of course. We do not take direct reservations for the Oyster Bar or the Terrace, as the bar is spontaneous by nature, and nature prevents us from seating the Terrace from time to time. We take advanced requests and do our best to accommodate.